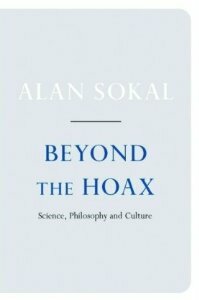 Beyond the Hoax: Science, Philosophy, and Culture is a 2008 book by Alan Sokal detailing the history of the Sokal affair in which he submitted an article full of "nonsense". fails to reflect the fact that Sokal's concerns are now widely shared - and that progress is being made in addressing them, the emergence of evidence-based social policy being an obvious example. His critique would also gain more credibility from encompassing his own community: the failure of scientific institutions to address the abuse of statistical methods or promote systematic reviews is no less of a threat to progress than the ramblings of postmodernists or fundamentalists. There is progress in science, and some views really are superior to others, regardless of the color, gender, or country of origin of the scientist holding that view. Despite the fact that scientific data are "theory laden," science is truly different than art, music, religion, and other forms of human expression because it has a self-correcting mechanism built into it. If you don't catch the flaws in your theory, the slant in your bias, or the distortion in your preferences, someone else will, usually with great glee and in a public forum — for example, a competing journal! Scientists may be biased, but science itself, for all its flaws, is still the best system ever devised for understanding how the world works. ^ Alan D. Sokal (1998). "A Physicist Experiments With Cultural Studies". New York. ISBN 0-312-19545-1. Retrieved March 5, 2008.